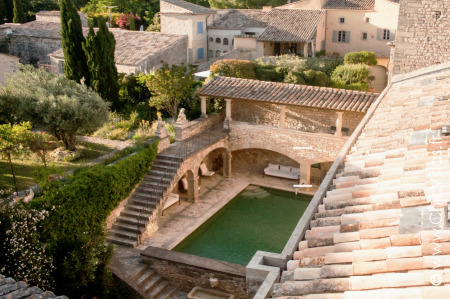 Luxury villa Ambiances Provence is the epitome of French rustic chic. 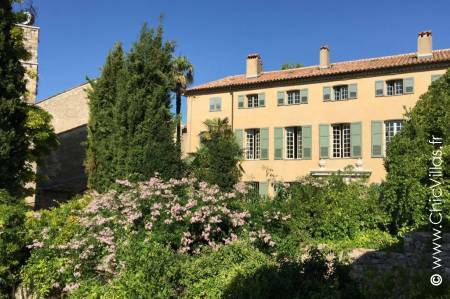 This Provence country manor house features traditional stone walls and wooden beams, set in the relaxing surroundings of wonderful landscaped grounds with a swimming pool. The French Riviera is synonymous with aristocratic elegance, and Authentic Côte d'Azur captures this atmosphere perfectly with its chateau-style interior. This rental property cleverly combines historic grandeur with the convenience of modern comforts. 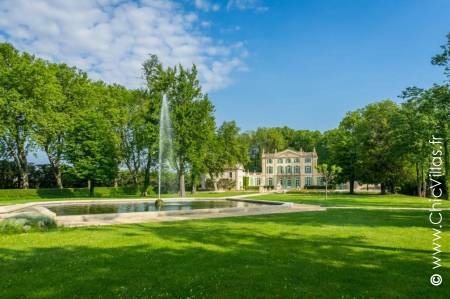 This 18th-century Renaissance chateau combines the romanticism of a Spanish palace with the indulgence of luxury amenities and is ideally situated near the sea. 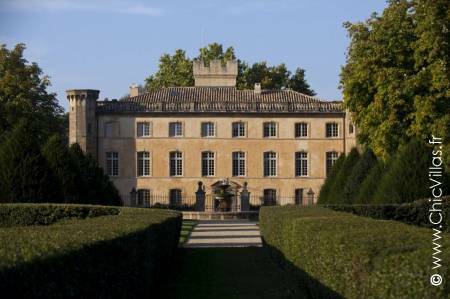 Welcome to Château Esprit Sud, for a very special stay! "Divine Provence" is the work of a passionate enthusiast whose outstanding renovation project has made this a property unique of its kind. Unstructured, extremely original and elegant, it offers seven luxurious and spacious suites. 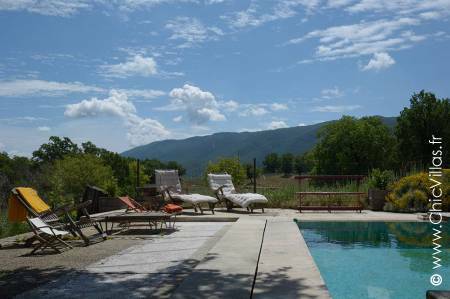 Entre Avignon et Luberon is the name of this luxury villa nestled in the lush Provencal landscape. This perfect getaway is an invitation to rest and relaxation. It is a beautiful house set in extensive grounds with a swimming pool, featuring a discerningly decorated interior and perfectly laid-out spacious rooms. 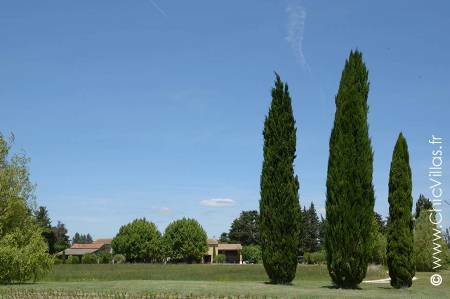 Esprit Luberon is a lovely holiday villa in Provence, situated opposite Mont Ventoux. 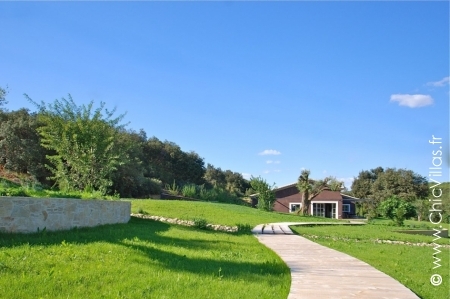 Set amid beautiful countryside 3 km outside the village, this villa offers excellent amenities. 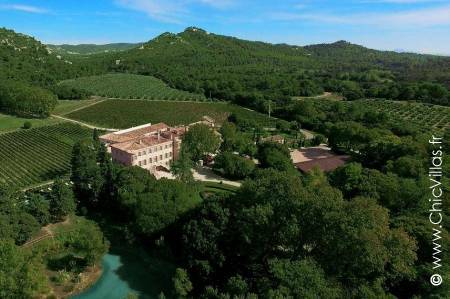 As its name suggests, this luxury chateau in Provence is simply exquisite. Intricate architecture and ornamental chandeliers hallmark the property's prestigious heritage, perfectly offset by a welcoming interior and up-to-minute facilities to make the discerning modern guest feel right at home. 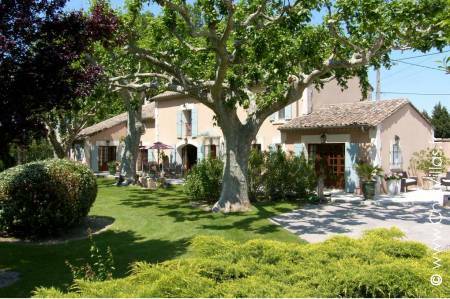 Idyllic Provence is a luxury French country villa featuring premium facilities. 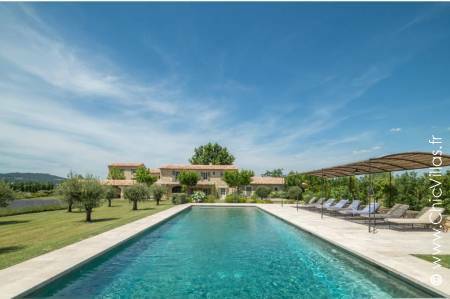 Savour the charm of Provence in a quiet and scenic setting at this spacious villa with a pool set in 7,000 m² of secluded grounds. 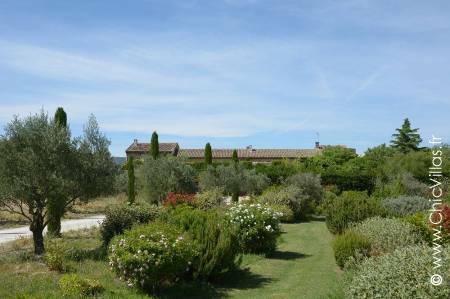 Discover the beauty of the Luberon region in this lovely Provençal rental villa, Lavandes du Luberon. This holiday home with swimming pool has an authentic and stylishly decorated interior in a calm and well-preserved setting. 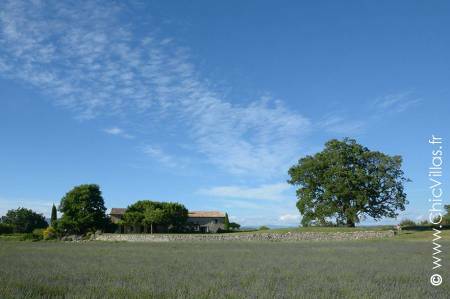 A former sheepfold restored by enthusiasts, the property "Les Hauts de Provence" offers a beautiful panoramic view over the hilltops of Haute Provence. 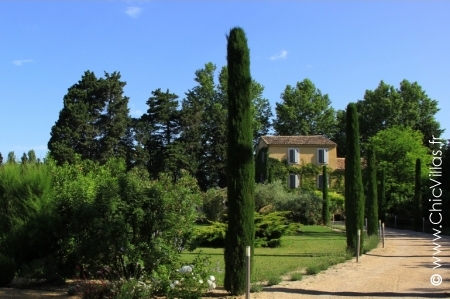 Welcome to Luberon Nature, a countryside holiday villa located in the heart of the Luberon Regional Park. 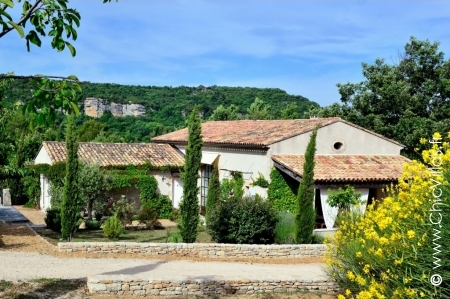 This stone-walled villa has been fully renovated and has an authentic French rustic feel to it inside and out. 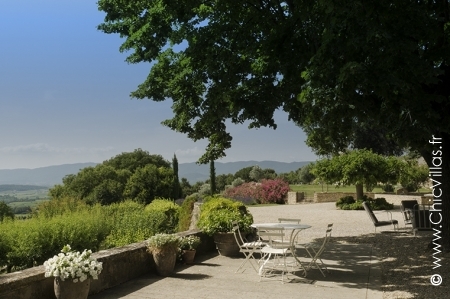 Luxury Luberon is an elegant country manor house set amid vineyards and 3 km from the village. 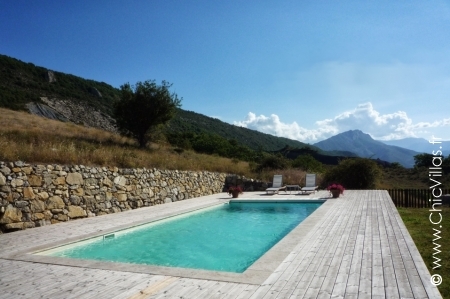 This luxury holiday property has stunning views over the valley and is a haven of peace and nature. 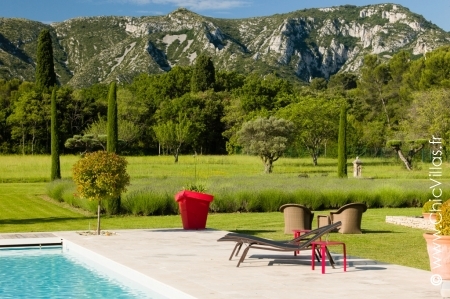 As its name suggests, the Provence Luxury Alpilles holiday villa is all about luxury. This beautiful property is set in a 3-hectare expanse of hillside grounds, making it ideal for a holiday in harmony with nature, yet just 3 km from the village. Welcome to a slice of heaven in the South of France! Paradis en Luberon is a luxury holiday villa with all the ingredients for a relaxing holiday amid the stunning scenery of Provence. This sumptuous turreted chateau is the last word in luxury. 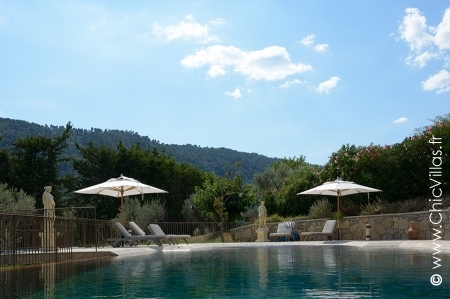 Set against the undulating landscape of sunny, slow-paced Provence, it offers a magical backdrop for a luxury stay and promises uncompromising serenity and indulgence. 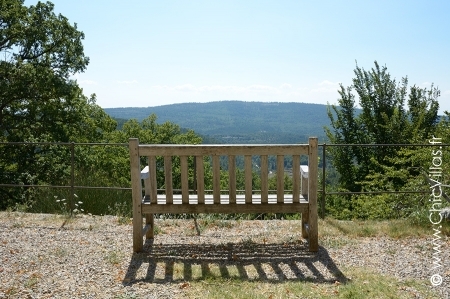 Pure Luxury Provence lies in the heart of the Luberon regional nature park, a sumptuous haven of peace offering premium amenities in a stunning setting. 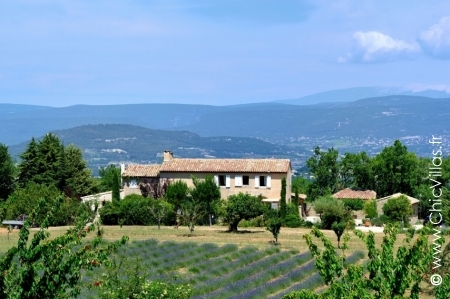 This luxury villa captures the essence of Provence, with high stone walls, fields of lavender, and rolling countryside. 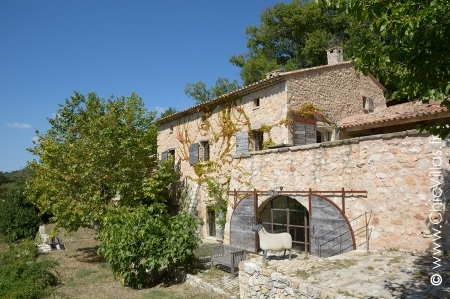 Sweet Provence is a rental villa in Provence, perfect for an authentic French holiday. Situate in a quiet area on the outskirts of the village, this villa with a pool has been tastefully renovated and has a very pleasant feel to it. Treasure of Provence is an elegant 18th-century castle in the beautiful Baux-de-Provence region. Set at the top of a driveway lined with century-old oak trees, the chateau's white stone walls cut a striking figure against the surrounding green countryside. 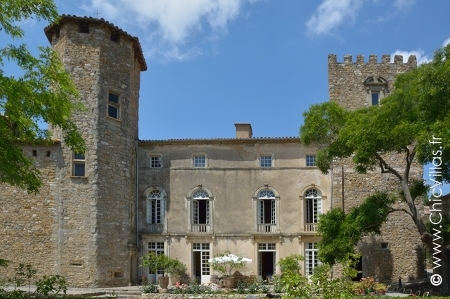 This rental château in the South of France is an idyllic backdrop for a luxury stay while time stands still. "Un Domaine en Provence" : This magnificent 14th-century priory is a secluded retreat surrounded by lavender fields, rolling hillside and vineyards that stretch as far as the eye can see. A quintessentially French luxury rental property that promises sophisticated, slow-paced living at its finest. Nestled high above in a luxurious garden, the "Villa Les Hauts de Fréjus" enjoys a privileged setting. 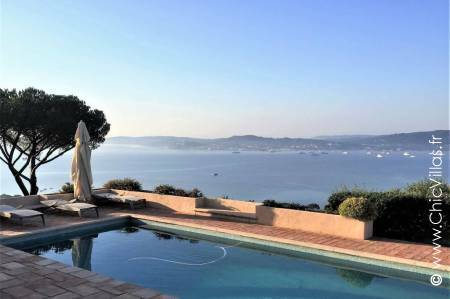 Two to three kilometers from the beaches, closer to the center of the village, this property offers a superb panorama of the Var countryside hills and a view of the Saint Raphaël bay. Provence is the epitome of rustic French charm. Experience the picture-perfect scenery and soak up the essence of the French art de vivre by renting a luxury villa here. Provence and the French Riviera make up a stunning region of France that visitors flock to each year. 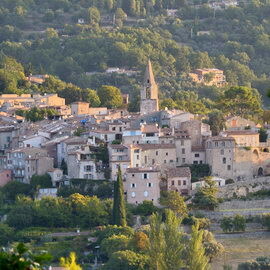 Your senses will go into overdrive as you discover the very best of Provence. From beautifully fragranced lavender fields to picturesque hilltop villages, there is so much to see and do here that your holiday won’t seem long enough. 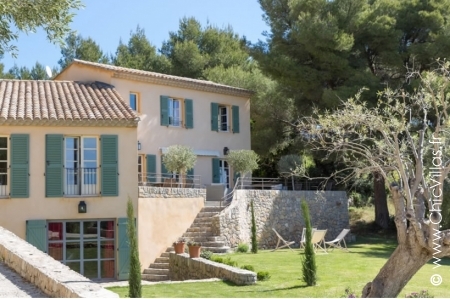 To enjoy stunning landscapes and have the time to explore all the region’s hidden treasures, why not rent a luxury villa in Provence, in the heart of the Alpilles hills. In the midst of nature and just a stone’s throw from lovely little villages, your holiday villa will be a haven of tranquillity. Our villas offer all the facilities you need and spacious interiors. Outside, you will enjoy a beautiful garden and a fabulous view over the valley from your private pool. While a holiday in the countryside offers total relaxation, you may also prefer to head down to the French Riviera and the Mediterranean Sea. Rent a luxury villa on Cote d'Azur and enjoy the beaches and little coves along the coast. The Camargue, the Calanques National Park, and a cluster of picturesque islands will make your holiday in Provence a break to remember. 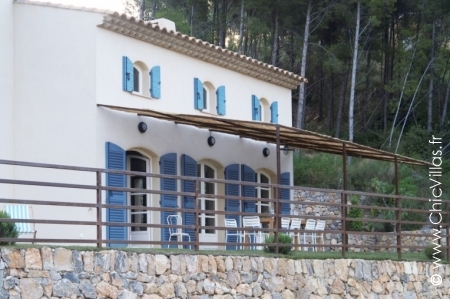 Enjoy the holiday of your dreams at one of our luxury beachfront villas in Catalonia.